You are invited to join us at our "Mountain Village Haven" for an all seasons experience you will not forget! Just off the Great Alpine Road and at the base of magnificent Mt. 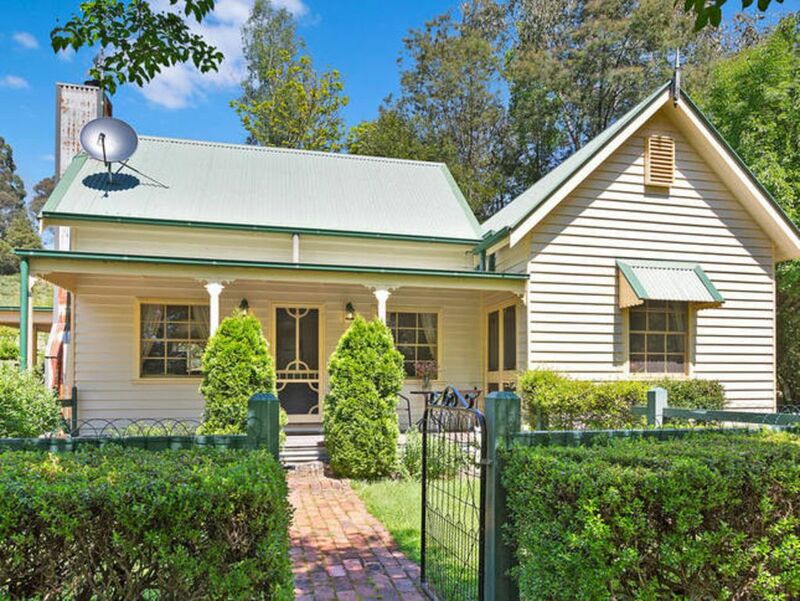 Hotham, Pick & Shovel Cottage offers fully self-contained accommodation in a delightful miner’s cottage built to reflect the charm of early Australia, and furnished with original antiques & memorabilia. Ski enthusiasts can enjoy magnificant Mt Hotham just a short drive away, or ski Falls Creek or Mt Buffalo also close by. For the less adventurous, be sure to take a leisurely drive to visit local wineries, art and craft shops, nurseries and gardens, restaurants, antique stores and historic attractions. Meander through the history of Harrietville in Pioneer Park, and visit the museum and many other historic sites within the town. Maybe take a picnic hamper to a spot by the river or venture further to the high plains to historic cattlemans’ huts for lunch. Catch a trout in our nearby Ovens River, or take a stroll along the banks on one of the many walking tracks in the area. Visit the magnificent LakeTronoh, the site of Australia's largest gold mining dredge. Lovely property, cosy comfy couches and beautiful log fires. Lovely spot to visit in autumn, with the leaves and spectacular scenery. Harrietville and surrounding areas are just stunning. The cottage is very cute, lacking in kitchen utensils such as pots and pans, oven backing trays ect. Heating is fine for this time of the year, but would be freezing in the colder months. The split system doesn’t work! The beds are very comfortable. We had a fabulous time. Will be back. What a beautiful place for a getaway! We were in the area to see some property and used this cottage as our base. It is so charming and cosy, with an open fire and everything you could possible need, right there. Our puppy was well fenced in and loved the morning frost! We will definitely stay here again. Thank you Greg! We really enjoyed our stay at the Pick and Shovel Cottage. Greg was very accommodating and helpful and the cottage was very comfortable with everything we needed. Would definitely stay here again!